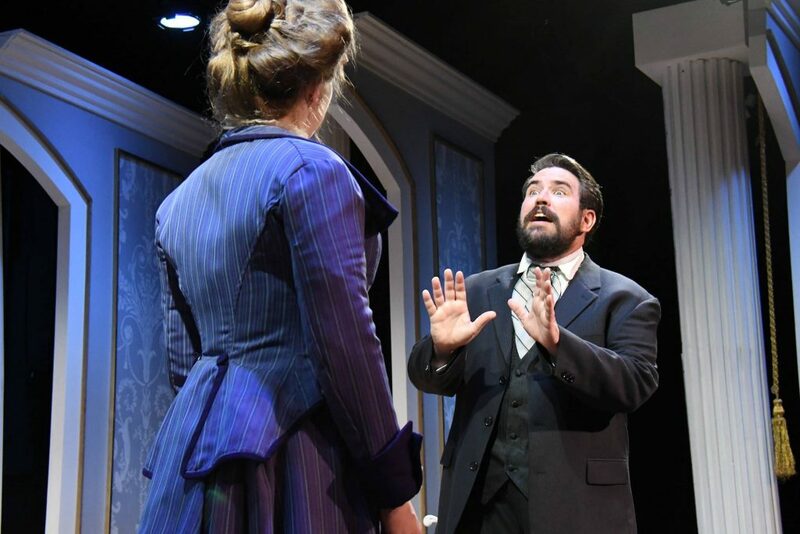 Oscar Wilde’s “An Ideal Husband,” at Town Hall Theatre, pulls out all the stops with great acting, luxurious sets, and deliciously biting dialogue. From the opening act, you cannot help but draw comparisons to the politics of today. By showing the ethics of politicians driven solely by money and prestige, Wilde evokes continuous and contagious laughter. The play revolves around the scandal that envelops the Chilterns when an old acquaintance appears bearing a dark secret from Lord Chiltern’s past. Set in Victorian England in upper class London, the play opens at the home of Sir Robert Chiltern (the superb Dennis Markam). Director Susan Hovey recreates a pompous political soiree, where guests are addressed by their full titles and ladies are escorted from room to room on the arms of gentlemen. The politeness is but a sham and underneath all the niceties there is political intrigue and romantic predicaments. 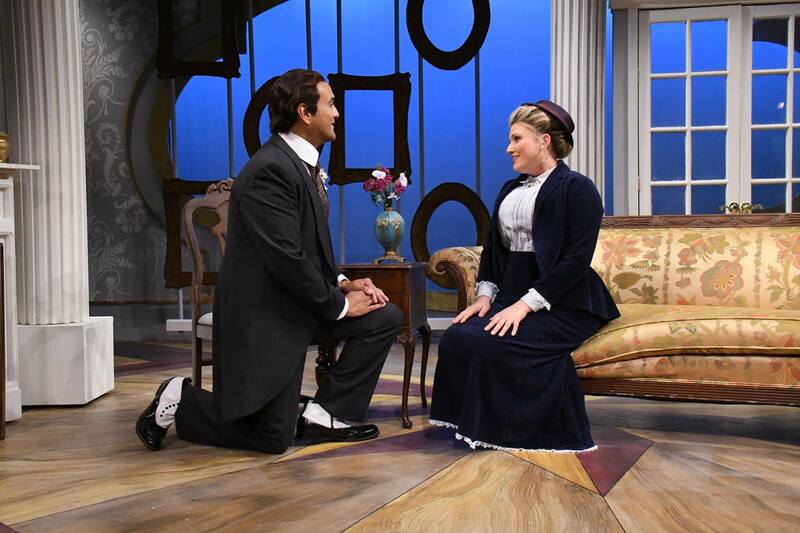 As relevant today as it was when Wilde wrote it in 1894, “An Ideal Husband” lampoons the power of media over politics, public opinion, and personal lives. Women play a significant role in the play and though they are genteel in public, they are the equal to the men in showing steel resolve in their business dealings. 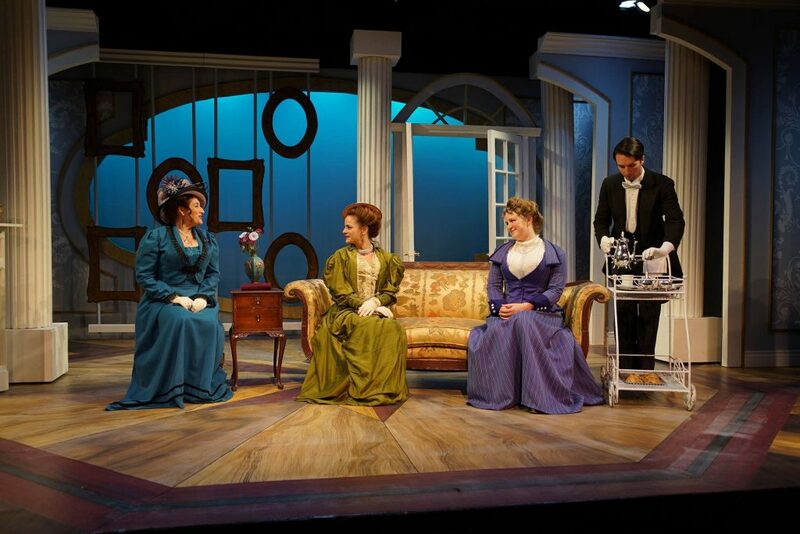 Women exercise their power in politics and romance, as rivals, Lady Chiltern (the talented Heather Kellogg) and the mysterious Lady Cheveley (the gifted Dana Lewenthal) face off. However, Goring views it as his duty to himself and to women to continue his debauched life. 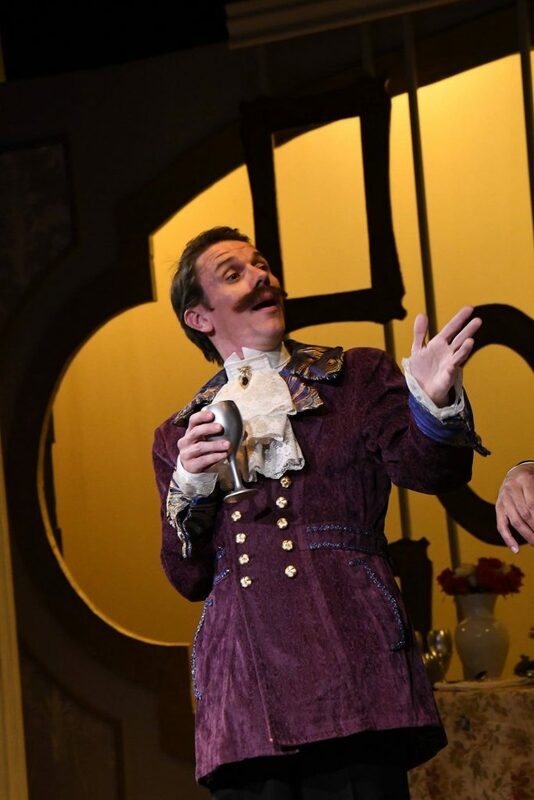 He tells his butler Mason (the smooth Nathaniel Rothrock): “To love oneself is the beginning of a lifelong romance.” Yet, despite himself, as Chiltern’s best friend, he is quickly entangled in political intrigue and romantic liaisons. If you look hard, you will find many Trumpean parallels in the self-dealing and self-important people here, such as the narcissistic Vicomte de Nanjac (comic, confident Alan Coyne). 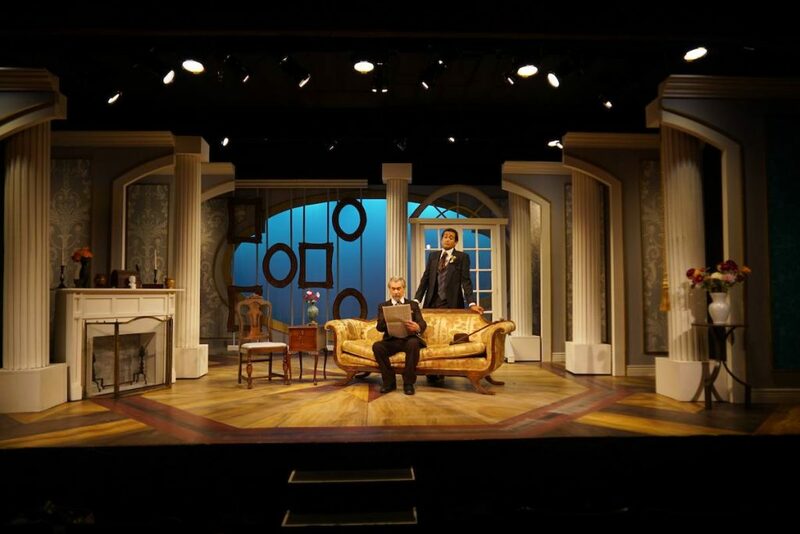 Thanks to Scenic Designer Brian Watson and Costume Designer Hope Birdwell, the sets are opulent and the costumes dazzling. I was transported back to another time and place and delighted in the sumptuous feast of glamour and English snobbery. Cast: DC Scarpelli, Dennis Markam, Heather Kellogg, Dana Lewenthal, Amanda Leigh, John Blytt, Emily Garcia, Alan Coyne, Jennie Brick, Adrian Deane, and Nathaniel Rothrock. “Priscilla, Queen of the Desert”: Prophets in the Outback, at Rhino, S.F. “Locus of Control” Blazes a Trail, at Bindlestiff Studio, S.F.